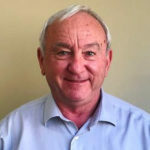 Eason Horticultural Resources (EHR) is pleased to announce Roger Kehoe has accepted the position of sales and production management expert for their national sales team. Kehoe has extensive knowledge of product development, plant production, strategic planning, and business development from his previous experience at Costa Farms and Ecke Ranch. He will be available to assist customers all along the East Coast. EHR is a national horticulture broker, servicing the needs of retail garden centers, wholesale greenhouse growers, nurserymen, wholesalers, and landscapers.